Paramount Solutions President & CEO, Jacquline Wilson, received the President’s Rising Star Award at the FSMSDC 42nd Annual Awards Gala. 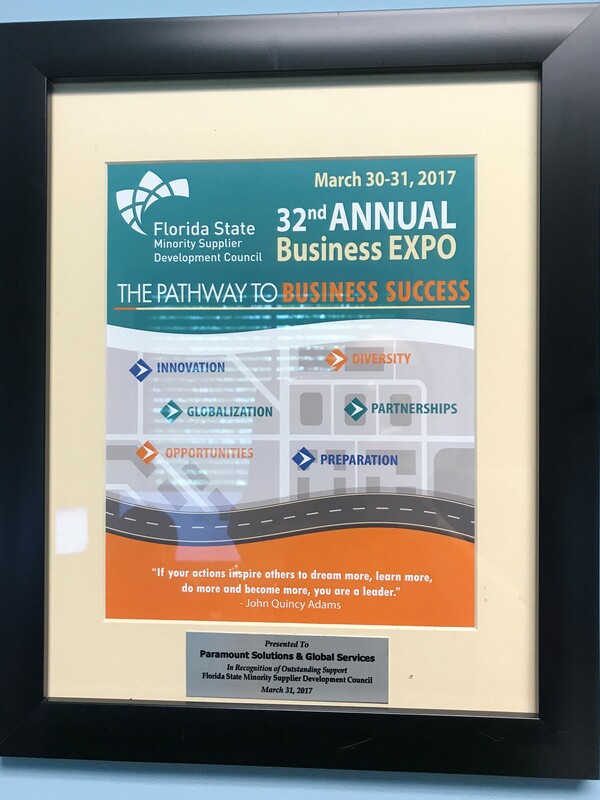 Ms. Wilson is thrilled and honored to receive this prestigious recognition from the Florida State Minority Supplier Diversity Council President, Beatrice Louissant. 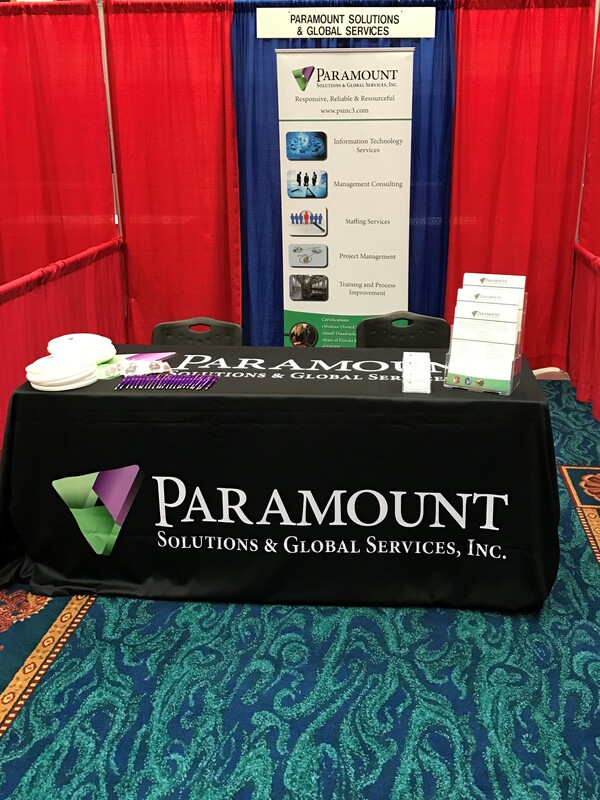 FSMSDC recognizes Paramount Solutions for its outstanding support in 2017. 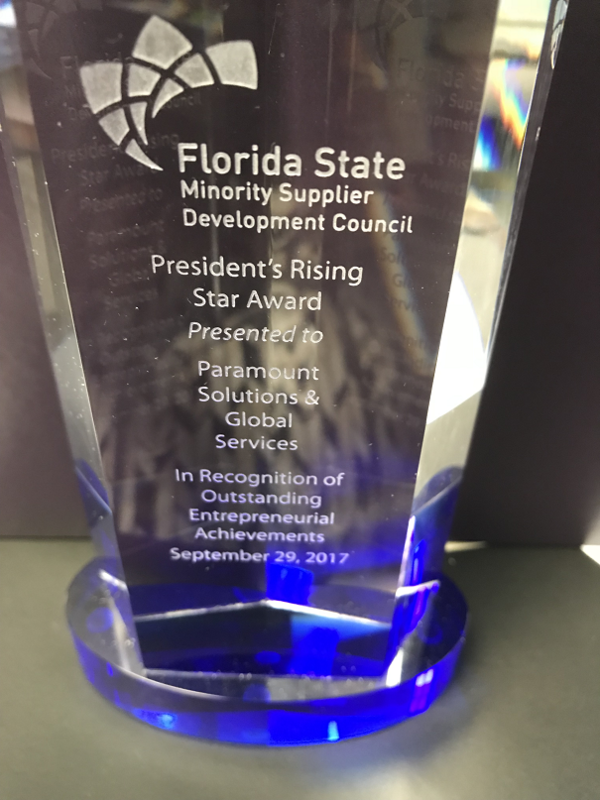 Paramount Solutions President & CEO, Jacquline Wilson, was also awarded with the Florida State Minority Supplier Diversity Council (FSMSDC) President’s Rising Star Award at the 42nd Annual Awards Gala. 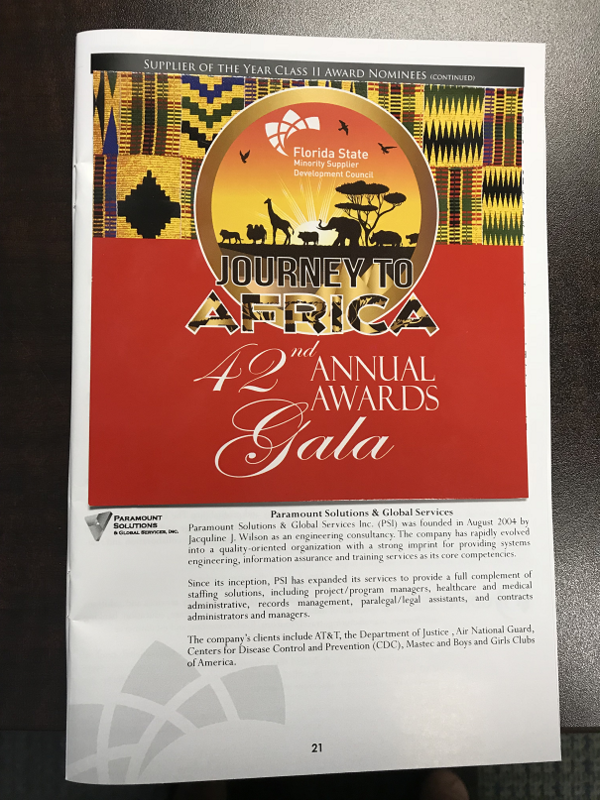 PSI was nominated for the Supplier Of The Year Class II Award at the FSMSDC 42ND Annual Awards Gala. 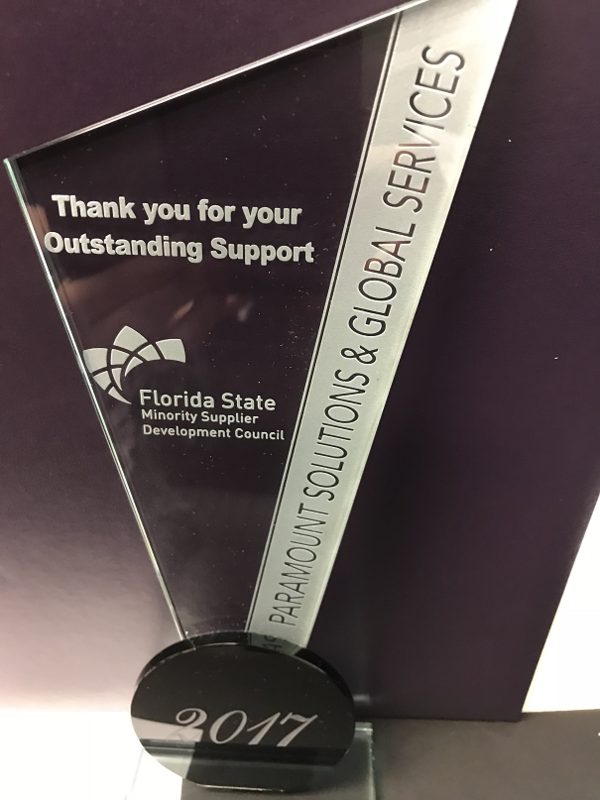 FSMSDC recognizes Paramount Solutions for its contributions and outstanding support to the Florida State Supplier Minority Diversity Council where PSI’s President and CEO moderated the Secret of My Success CEO presentations. 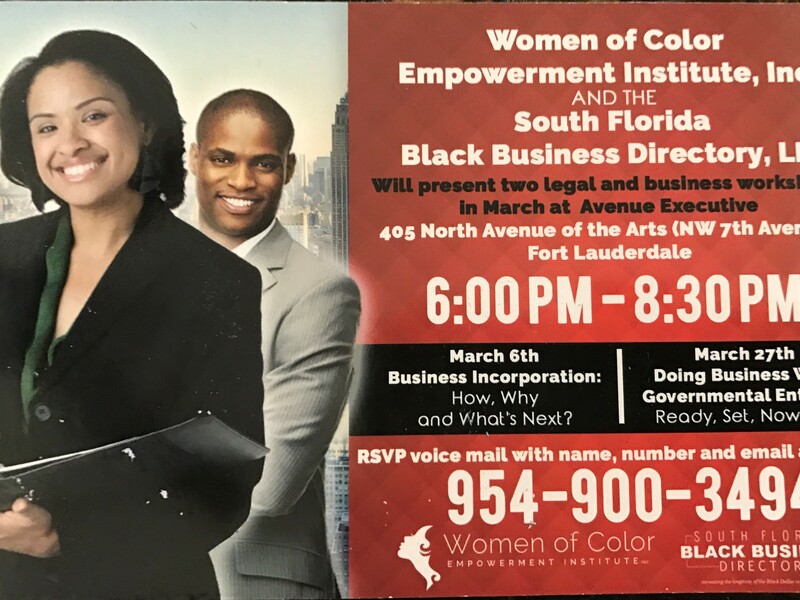 PSI’s President and CEO speaks at Women in Color and South Florida Black Business regarding Doing Business with Government Entities. 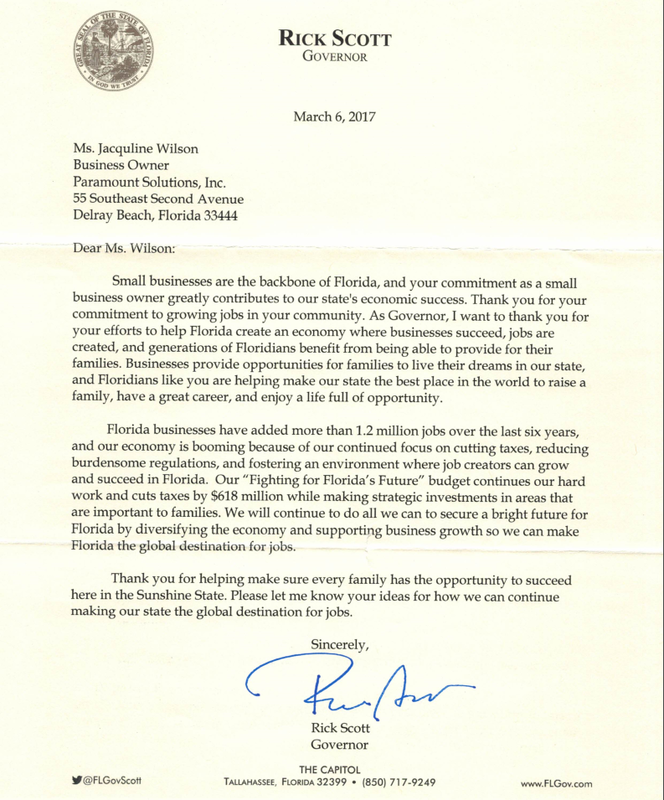 Florida State Minority Supplier Development Council Article Click here to read the article. 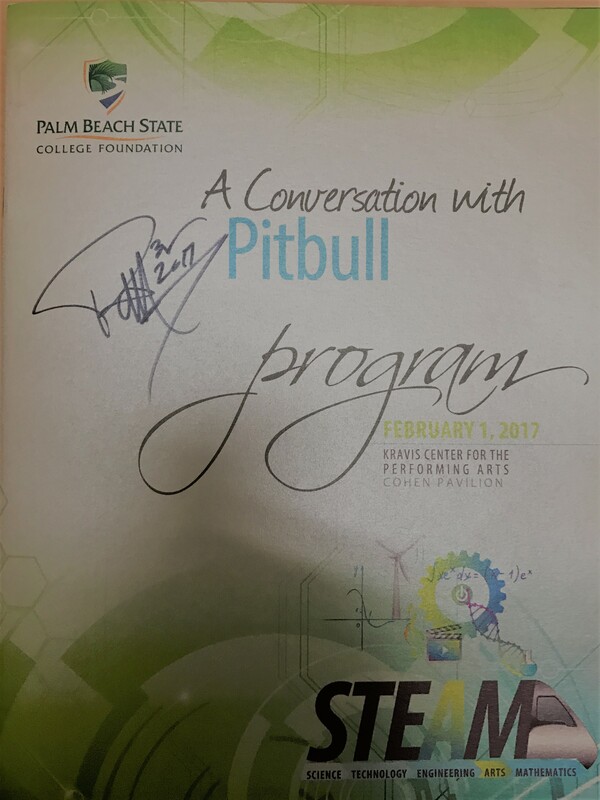 PSI was invited by the Palm Beach Small Business Development Center to participate the STEAM event as this is an initiative that is a personal interest of PSI’s President and CEO. PSI President and CEO received an autographed copy of the program.